Normally, getting a divorce is a fairly normal process. However, when your spouse cannot be found, it can complicate matters, and many people wonder if it will stop a divorce entirely. The answer is no, but it can sometimes cause delays, especially in matters of child custody and support. If you are in this position, it can be a somewhat laborious process, but you can still obtain what the law calls a divorce by publication. If your spouse cannot be located or simply will not respond to a Petition for Dissolution of divorce, Georgia courts allow for what is called a divorce by default. As long as you have been a resident of Georgia for at least six months, you are permitted to file in the state. Georgia is a state that follows the equitable distribution model of property division, meaning that any marital assets can be divided equitably, rather than equally. Once you file, your spouse must respond within 20 days, or risk having a default judgment of divorce entered against them. It is important to keep in mind that Georgia, unlike most states in the U.S., still considers fault grounds when determining divorce cases, including adultery, abandonment, mental illness, and addiction (“habitual intoxication” or drug addiction). A no-fault ground does exist – one can simply state that the marriage is “irretrievably broken” – but many do not opt for this, because if they are the party sinned against, rather than the sinner, fault grounds may strengthen their case. Your spouse must reply within that 20 days if they wish to contest any grounds you have put forward. If you are put in the position of having to attempt to serve your spouse by default, you must cover all the bases in your attempt to reach them. You are required to do what the law calls a diligent search, which consists of many different avenues to pursue to find your spouse. For example, most courts will require that you check all relevant court records, reach out to the U.S. Postal Service for past or current addresses, search in databases like police records and with newspapers, and even more (depending on the jurisdiction) before you are able to state definitively that your spouse cannot be located. In such a case, you must then file an Affidavit of Diligent Search with the relevant court. Once the affidavit has been filed and approved by the court, it can then be published. Usually the court will require that the affidavit and petition for divorce be published in a newspaper local to the spouse’s last place of residence, for at least four weeks. After that time, if no reply has been received, the petitioning spouse will generally be granted a default judgment of divorce. However, a default judgment for divorce does not give a court the right to dispose of marital assets or deal with issues like child support. Without either the spouse’s presence or proof that they are deceased, those issues must be reserved for later on in time. When you want to get divorced, a quick resolution is often the most important thing on the table. 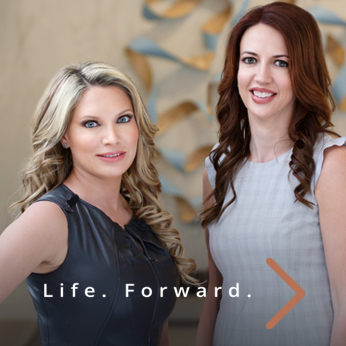 The experienced attorneys at Buckhead Family Law will work hard to ensure that you are able to move on with your life as best you can even if your spouse cannot be located. Call our Atlanta divorce lawyers today to schedule a consultation.